To celebrate the final weekend of Lisa Reihana | Cinemania, Campbelltown Arts Centre presents a weekend of events. In association with the 21st Biennale of Sydney and Lisa Reihana | Cinemania at Campbelltown Arts Centre, Lisa and Mami will discuss what Biennales mean today and the linked themes between the 21st Biennale of Sydney and Cinemania, Lisa’s first survey exhibition spanning three decades of practice. Matavai Cultural Arts will perform a new dance piece, commissioned by Campbelltown Arts Centre, in response to the themes explored in Cinemania and to thank Lisa Reihana on behalf of the local community. Audience members will be given a special insight into in Pursuit of Venus (infected) as Lisa Reihana and Michael Dagostino, Director, Campbelltown Arts Centre, discuss the work and address individual vignettes, scene by scene. This discussion will be Auslan interpreted. 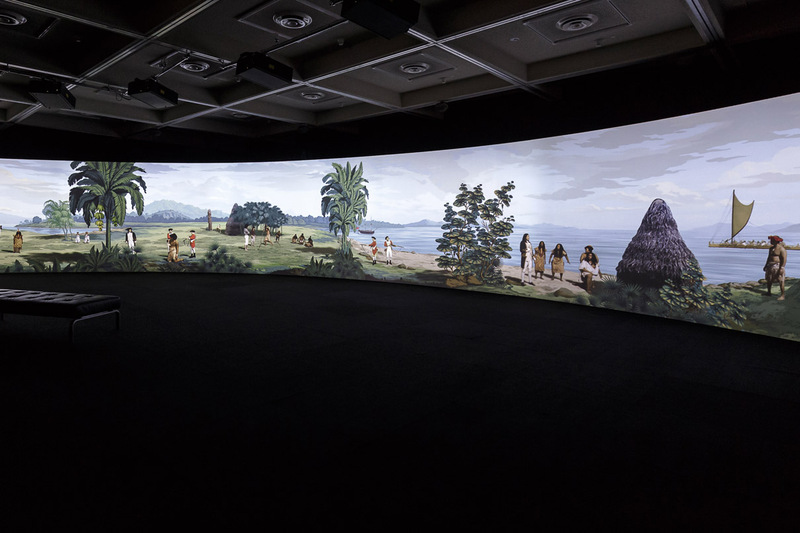 Lisa Reihana | Cinemania appears as part of the 2018 Sydney Festival program. All events are free and bookings are not required.